Your friendly neighborhood Spider-Man teamed up this year with Toys for Tots, a program run by the United States Marine Corps Reserve that distributes toys to children whose parents cannot afford to buy them gifts for Christmas. Sony Pictures Home Entertainment (SPHE) in conjunction with the 4K, Blu-ray, DVD, Digital HD release of Spider-Man: Homecoming provided one of the actual suits worn by actor Tom Holland while shooting the movie to be auctioned off by ScreenBid.com on behalf of Toys for Tots. The winning bid raised more than $37,000 dollars for the charity! 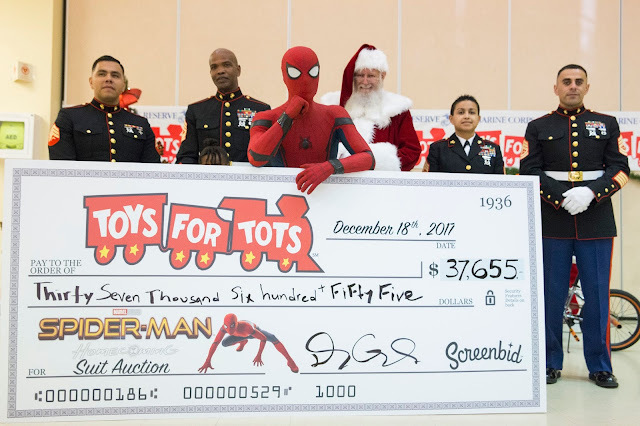 Spider-Man swung into a Toys for Tots distribution center in Pasadena, California to present a check from the online auction. He also brought along with him some Spider-Man: Homecoming dvds and toys to contribute towards the Toys for Tots effort courtesy of SPHE. While there he joined in with other volunteers gift wrapping presents that will be going out to needy kids. Way to go Spidey! 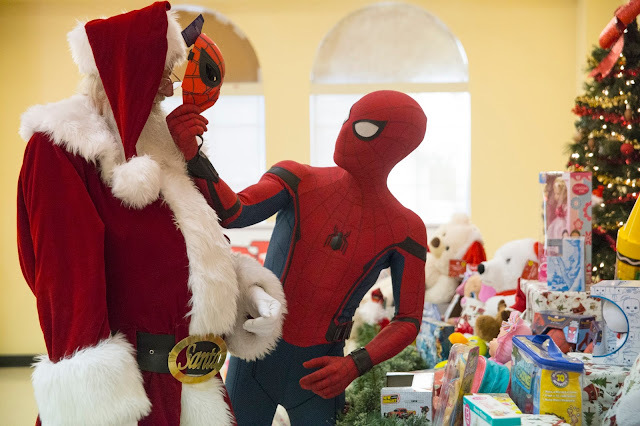 The appearance also provided an opportunity for Spider-Man to meet one of his own personal heroes ... Santa Claus. Spidey and Santa spent some time chatting about each others super powers. One can make reindeer fly in the sky plus teleport himself into people's homes while the other can crawl up walls and shoot webs. Who do you think has the more impressive abilities? 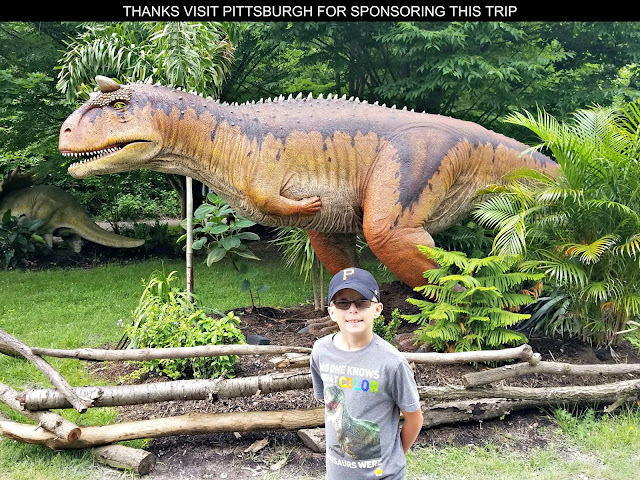 Doesn't matter they are both impressive guys! 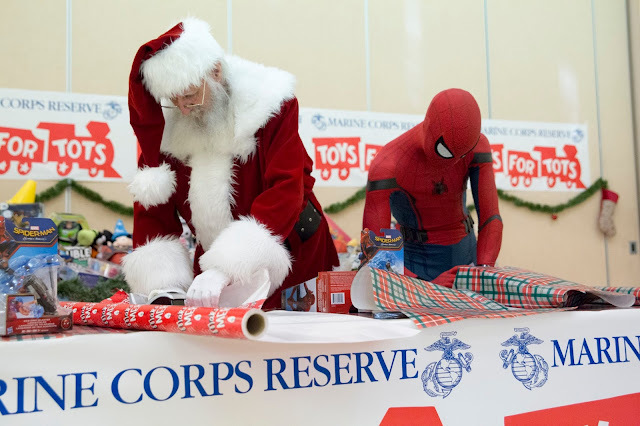 Would you like to join Spider-Man and Santa Claus in supporting the Marine Toys for Tots Foundation? 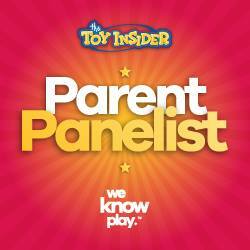 Visit toysfortots.org for information about making a financial contribution, donating new, unopened toys or volunteering your time.